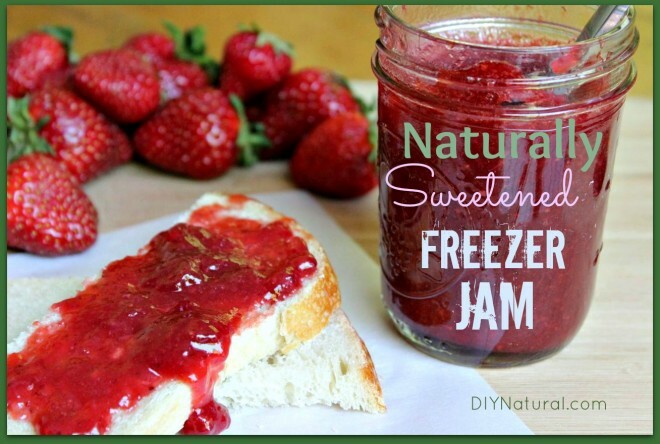 Do you love making freezer jam, but hate all the sugar that has to be added to make it jell? Then once your fresh fruit is made into jam you almost feel guilty eating it because it’s loaded with sugar? This was my predicament for many summers. I think it kind of defeats the purpose of making jam if it ends up being pure sugar and you have to treat it like a dessert you can only consume on special occasions. I always choose to make freezer jam because it saves time in the kitchen. You just mash your fruit, add sweetener and pectin, and you’ve got jam to store in your freezer and enjoy all year long. The issue with most fruit pectins is they require SO MUCH sugar to create a firm jam. It always seemed so silly because the berries I use to make jam are already sweet. I noticed the high sugar content would sometimes overpower the flavor of the delicious fruit I had so carefully selected for my jam. And I’m just not down with that. Furthermore, I would prefer to use a natural sweetener, like raw local honey, to sweeten my homemade jam. If only there was a way to make freezer jam with a natural sweetener. Oh, but there is! Last year I felt like I hit the jackpot when I discovered this natural pectin that is extracted from citrus peels. This pectin depends on calcium instead of ridiculous amounts of added sugar to get a firmly set jam. This pectin allows you to use low amounts of the sweetener of your choice. Honey, maple syrup, sugar, sucanat, stevia, or any other sweetener…YOU choose. A packet of calcium powder is included in each box, so you don’t have to worry about purchasing any extra ingredients. The powder is mixed with water to make a calcium water that can be stored in the refrigerator for several months and used for future batches of your delicious jams or jellies! If freezer jam isn’t your thing, you can also use this pectin to make cooked jams and jellies. Prepare your calcium water using instructions on pectin insert. Set aside. 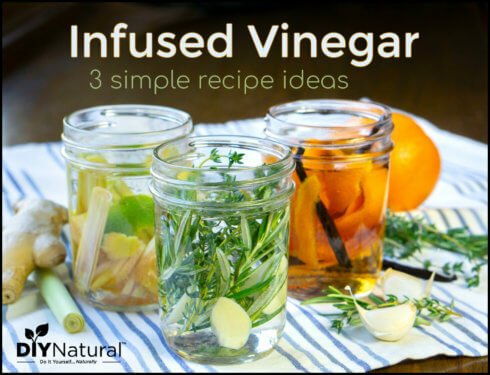 Prepare several small glass jars and lids by washing and/or sterilizing and set aside. Combine mashed berries and lime juice in large bowl and mix well. Add honey to bowl with berries and lime juice and stir thoroughly to mix. Bring water to a boil, then pour into a blender or food processor. Add pectin powder and blend for 1-2 minutes, venting lid so steam can escape. Add hot liquid pectin to the bowl of fruit, mixing well. Fill jars with jam, leaving about ½” of head space. Screw on lids, and freeze immediately. You can start eating your first batch right away! *Once thawed, jam will keep in the refrigerator for about 1-2 weeks. You can make your jam in small 4 oz. canning jars if you’re afraid larger amounts will go to waste in the fridge. Looking for other ways to enjoy your fresh strawberries? See all our favorite ways to use and preserve in-season strawberries here! I made the jam yesterday and it turned out great. Even though I had known it wouldn’t be as sweet as store-bought jams (even the healthier kinds), I was still surprised how pleasantly mild the sweetness was. Thanks so much! This jam is boiled though, right? How does it differ from a cooked jam? No, the fruit is not boiled. Only the water in the recipe is boiled. Can you use mulberries for this recipe? The Pomona’s insert suggests making cooked jam with mulberries. Some types of fruit won’t gel very well as a raw jam. Will the mason jars break in the freezer? If your jam feels warm after filling jars you could refrigerate for a few hours before putting in the freezer. I was curious if you could use grass fed gelatin in place of the pectin? We have not tried using gelatin as a replacement for the pectin, so I really don’t know. Be sure to return and let us know if it works if you try this method! Enjoyed the article on how to use up all those strawberries. Would like to make a suggestion under the “Smoothies” option to remove adding soy to your smoothies. Soy/soy powder is not a health food nor good for us! Thanks for your great info! Thank you Cynthia! I removed the soy suggestions from that article…we do NOT believe soy is health food. Hi! I’m new to freezer jam (the first time I’ve heard the term!) and store-bought pectin (I’ve heard of it but have never bought or used it). What are the ingredients of this pectin? I’m in Canada and amazon.ca doesn’t carry it. Bernadin pectin, which they do carry, ingredients are dextrose, fruit pectin, citric acid, and calcium ascorbate, so I’m just curious what the ingredient list of Pomona looks like. Thank you!! Thanks for the prompt response. Looks like I won’t be able to order Pomona’s pectin from here :(. Do you have any suggestions for other ways of preserving strawberries? Thanks so much! Perhaps you can find Pomona’s in a health food store near you? 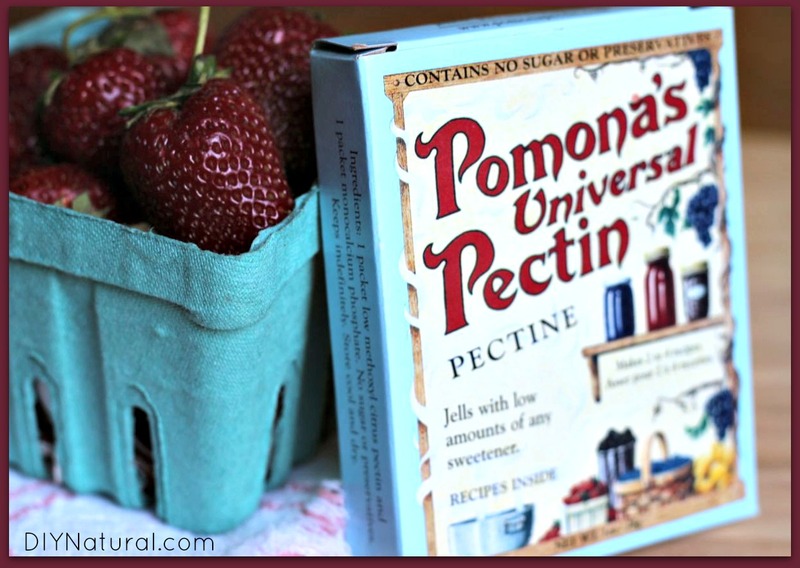 I found Pomona pectin! 😡 Turned out a health food store I frequent does carry it, I just never noticed. Can I use lemon juice or orange juice in place of lime juice? And maple syrup in place of honey? I only have lemons at hand and my honey is very condensed which would make it hard to mix with the fruit. Sorry for asking so many questions but how soon should one consume a jar of freezer jam that is out of the freezer? And to confirm: did you make 8 8-oz jars of jam out of 4 cups of mashed strawberries? That sounds like a lot! Thanks so much for your time and patience!! 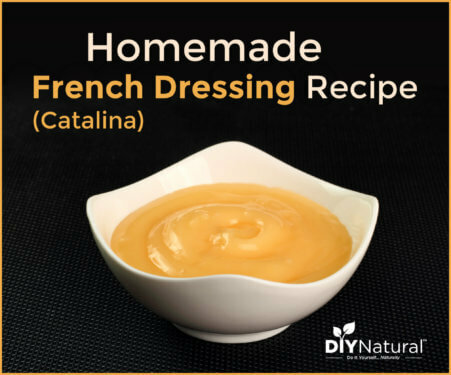 Hi Lan – you can use lemon juice and maple syrup! Mmmm. (Also check the Pomona’s insert…it gives suggestions for substitutions.) After thawing a jar of the freezer jam, you should consume it within 1-2 weeks. Make small jars if you can’t eat very much in 1-2 weeks. I ended up getting 6 8-oz. jars of jam (with about 1/2″ headspace on all the jars). How long does the freezer jam last stored in the freezer? It will easily last a year. I have even used freezer jam that was frozen for more than a year, and it was still great. I just made a double batch with my 6 year old daughter. We made 1 strawberry batch and 1 blueberry/strawberry. (I ran out of blueberries and had some extra strawberries. Both upon tasting were fantastic. And what a fun project to do with my daughter!! THANKS!! what other fruits can you use in place of the strawberries? Great question Cathy! For the freezer jam you can use fruits like blueberries, raspberries, cherries (sweet or sour), pears, kiwis, blackberries, or plums. If you want cooked jam, you have even more choices like peaches, mulberry, pineapple, currant, gooseberry, apricots, mangos, figs, and more. The reason you have more choices with cooked jam is that some fruits will not jell very well as a raw jam. How much of a 1oz pkg do you actually use when you use 3 teaspoons. Just wondering how many packs of pectin I would need. Three teaspoons is about 1/3 of the package of pectin. I got six 8oz. jars of jam out of this. Hope that helps! Do you think this will work well with blackberries? Do you know if the calcium powder is daiy or casein free? It’s from a rock mineral source, so it’s not dairy-based. No, honey doesn’t cut the strawberry flavor. Actually, since I use lime in this recipe, I feel like I taste a little lime, but not so much honey. This looks fantastic, thanks. I was wondering if you had the recipe for using stevia instead of honey? I don’t know exactly how much stevia you would use, but when you get to step #4 in the recipe, all you have to do is start adding your stevia little by little, stirring and tasting after each addition until you reach the desired sweetness. Hope that helps! do you have to keep it in the freezer all the time? i mean, is it FROZEN when you try to spread it? or, do you freeze it, and take out one jar and use that one jar in the fridge until it’s gone?? sounds GREAT!!!!! i can’t wait to try this! Great question Ellen! Lol…I realize now this must sound funny if you’re not familiar with freezer jam. It just means you make it, freeze all of your jars, then pull a jar out of the freezer and thaw when you’re ready for a new jar. Use that one jar in the fridge until it’s gone. Make sense? that makes PERFECT sense!!!!!!!!! thank you!!! One more question about freezer jam vs. regular jam…if you were making regular jam, it’d be shelf stable for a long time, right? Admittedly I’ve never actually made my own jam before but I would really like to try, so perhaps this is all misconception on my part. Are you skipping a step with the canning or the preparation that you wouldn’t be doing if you were to make “regular” jam? If you make “regular jam” it is cooked, then canned. So it will last as long as canned foods, and once opened, it is good for about 3 weeks in the refrigerator. However, I prefer freezer jam since you don’t have to cook the jam or go through the trouble of canning it (using the hot water bath method). If you don’t have lots of extra freezer space, and don’t mind the trouble of canning, making regular canned jam is probably a better option. I love getting your emails! Just a question about the pectin – Is the calcium included in the packet of pectin vegan? Glad you’re enjoying our emails Taibi! I’m assuming that the jars of finished jam should remain in the freezer until you’re ready to eat them? How many pints do you make for a year’s supply?! Thanks for the great recipe, I’m a huge fan of simple! I love this option but have a couple questions. Is this an online product or do stores carry it? I’ve never seen it before. Also, I have this weird aversion to jam bc if the pieces of fruit. I love fresh fruit but hate mushy chunks of it in anything. That said, do you think this would work if I puréed it first, or would it be too thin? Some stores carry this pectin. I have found it in my local health food store. I think pureeing would work…you might just have to add more calcium water. I have used this brand and it’s my go to brand of pectin for everything…gluten free too. It’s wonderful. I make the best stuff with Pomona’s. It’s awesome, right? I’ve only made strawberry jam with it, but I can’t wait to make other kinds.